Happy National Pet Day! 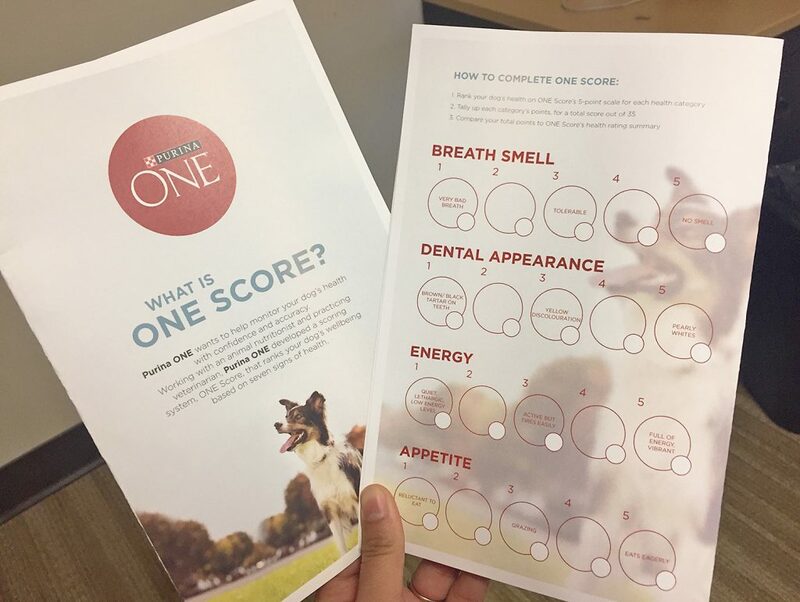 To celebrate, Purina Canada is launching the Purina ONE Score – a new scoring system aimed at helping pet owners better understand their dog’s health. I was excited to use this new health scoring system on Olive and Artie as part of National Pet Day. 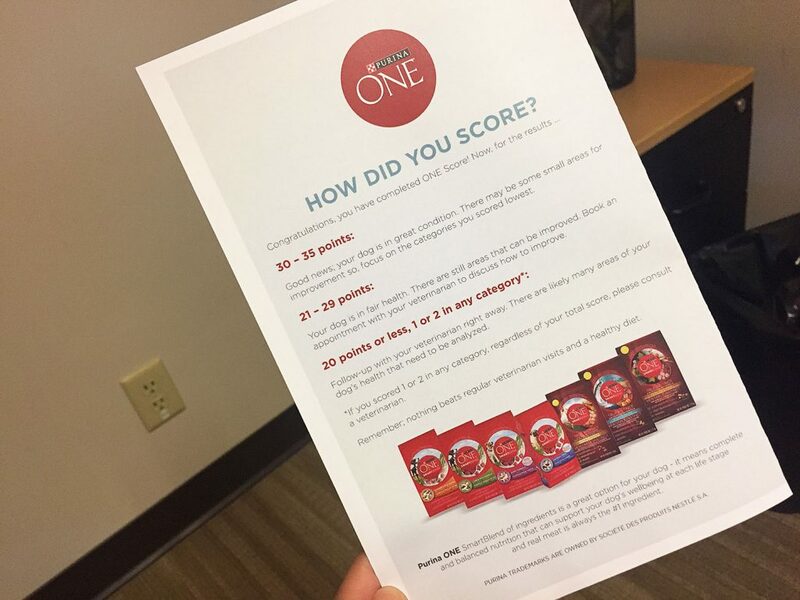 Check your pets’ health using the Purina ONE Score! Our pets’ health is a huge priority and we’re up for doing anything we can in between vet check-ups to ensure they’re staying healthy, especially if it’s quick and easy! All dog owners are encouraged to use the ONE Score to examine your dog and rate them from 1-5 based on these seven categories of health. The results should give pet owners confidence in understanding how healthy their dog is and whether a visit to the vet is on the horizon! Purina ONE Score check on Energy: 5/5 for Olive! 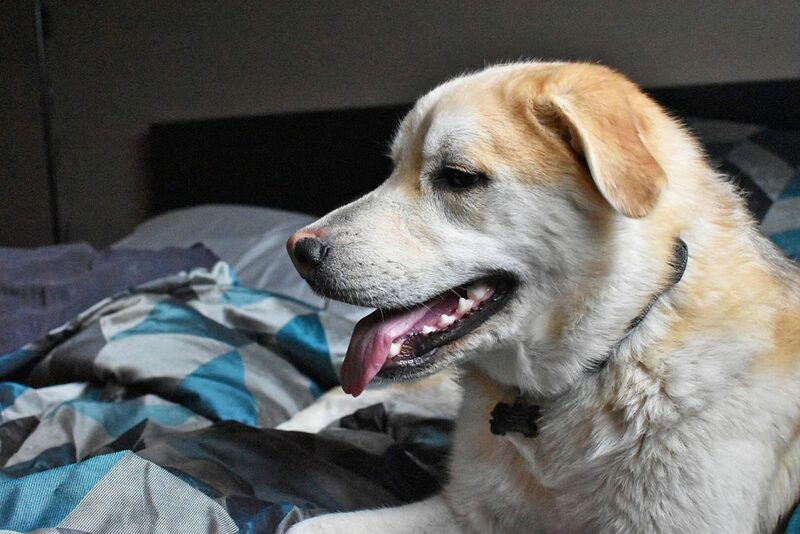 The ONE Score was developed in consultation with an animal nutritionist and veterinarian and is a pretty simple and handy way for you to check your pets’ health. 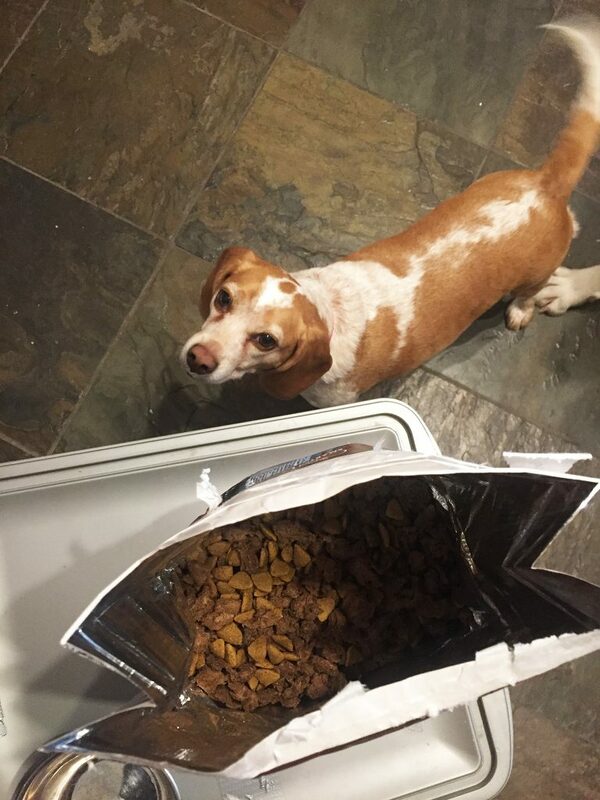 Purina ONE Score check on Appetite: 5/5 for Artie! Based off of this, Artie is doing extremely well and Olive is too – except for her appetite. How does your pet score? We’ve since noticed a bit of an improvement in her eagerness to eat. If her ONE Score on Appetite remains low, we’ll take her the vet to see what’s really going on! Olive eyeing up her new Purina ONE Smartblend: Wild Turkey & Venison. Purina ONE Score check on Dental Appearance for Artie: 5/5! For National Pet Day, I hope you Download your ONE Score and do a check to make sure your pets are healthy. Ensuring they’re healthy is a big part of that and something as simple as a quick, 7-step health check is the least we can do to help our pets live bigger and better lives. See how else I’m living big with my fur babies this year. Disclaimer: I will always provide my 100% honest opinion on this blog. This blog was posted as part of my Purina Pet People brand ambassador partnership. This has no impact on opinions stated in this post.